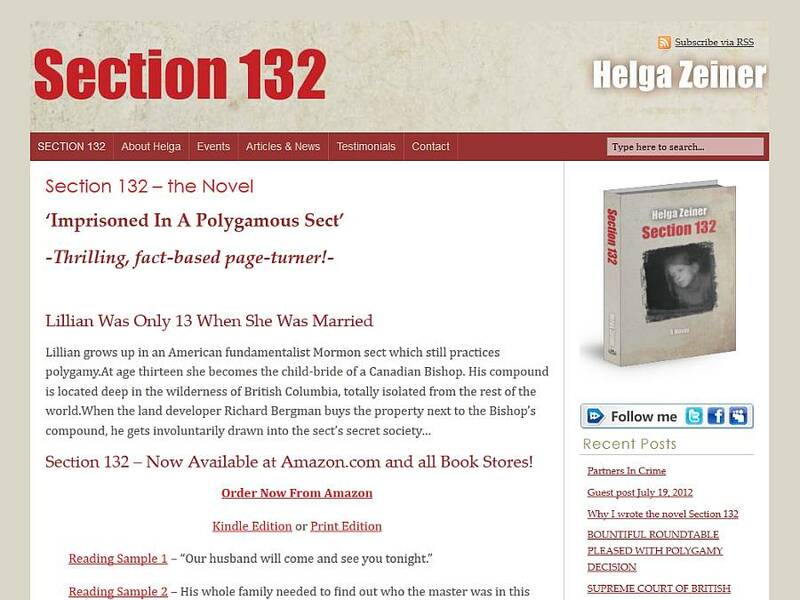 Since the book Section 132 had already been printed, Helga wanted to ensure that the fonts and colors would match the existing book cover. We reworked the look of the site until she felt it was just what she wanted. We also created the 3-D book image for the sidebar, added a testimonials slider, and taught Helga how to add her own articles to the site as blog posts.